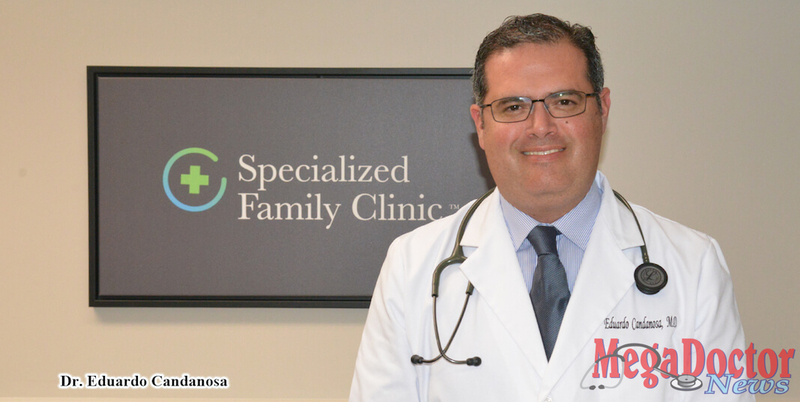 Dr. Candanosa received his medical training in two countries and worked as an ER physician as well as a hospitalist physician for several years in the Rio Grande Valley before opening a practice. As a hospitalist physician, he is the doctor responsible for managing the care of hospitalized patients in the same way that primary care physicians are responsible for the care of outpatients. He is originally from Monterrey, Nuevo Leon in Mexico, a populous industrial city less than three hours from South Texas. The fact that he was a doctor, first in Mexico and then in the United States, puts him in a different category; he is double trained in medicine. Also, his work as a hospitalist gave him the experience of dealing with hundreds of patients in multiple scenarios of chronic diseases. “I started medical school in 1994 in Mexico,” he told Mega Doctor News. “The medical program in Mexico is six years, so I graduated in 2000.” He pointed out that after that, he did one year of social services in a small town called Villa Aldama in the same state of Nuevo Leon. During the time he was doing his residency for general surgery in Mexico, he met his wife, Laura. They married and started the process of moving their practices to the United States. Laura is originally from McAllen and is currently revalidating her medical studies in the States. According to Dr. Candanosa, this is not an easy process. “Fortunately, I got a spot in the McAllen Family Residency Program which was sponsored by the Health Science System in San Antonio. I started in June 2011, and I finished in June 2014,” he said. After all the hard work and dedication, in the year 2014, he graduated from the McAllen Family Medicine Residency Program. 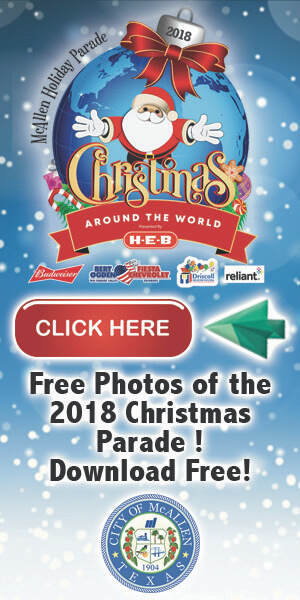 This Program was established in 1977 to help train and educate family medicine physicians in South Texas and the Rio Grande Valley under the sponsorship of the University of Texas Health Science Center San Antonio. Since the development of the Family Medicine Residency Program, over 200 physicians have been trained. In April 2015, the McAllen Family Medicine Residency Program became part of a new sponsoring institution, the University of Texas Rio Grande Valley (UTRGV). The scope of family practice encompasses all ages, both sexes, each organ system, and every disease entity. That is what Dr. Candanosa is now offering to his patients. What was the challenge you remember as you were looking for certification? “When I was in the process of certifying as a doctor, the biggest challenge was thoughts of failure and not accomplishing the goal.” He continued, “There were all the studies that I needed to do to get it done, and the stress to take the board exams.” After certification, now as a doctor, he says, the challenges are different because it involves his patients. The services that he provides includes Preventive Medicine with annual health evaluations and screenings for individuals of all ages. This includes flu shots, and immunizations, physical exams for sports, school and summer camp, and Pediatric Medicine. He also offers adult medicine and geriatrics, treatment of long-term medical conditions including diabetes, high blood pressure, dyslipidemia, women’s health including pap smears, pelvic and breast exams, joint injections, palliative care, laboratory testing, minor surgery, biopsy and excision of skin lesions, incision and drainage of abscesses, and treatment of minor injuries such as lacerations, burns, and sprains. 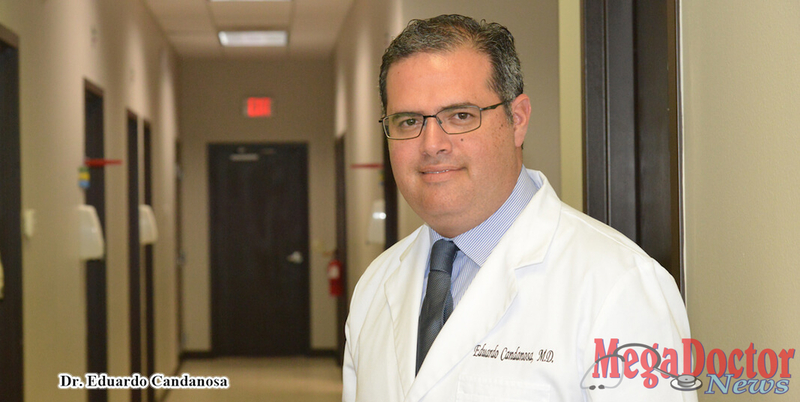 Dr. Candanosa is meticulous with the treatment of his patients. He says that when he sees a patient and then he prescribes, it doesn’t end there. “I review the patient’s chart and I check all the medicines and re-check again. I’m thinking about what else I can do for my patient,” he said. Is your wife also a doctor? “No, she is a Psychologist. She finished her process of bachelor revalidation and she already finished the master’s in clinical psychology at UTRGV.”Now she needs 3000 supervised hours to be eligible to get the Texas license in psychology. “It’s difficult to specialize in psychology. It’s quite difficult,” Dr. Candanosa said. Dr. Candanosa is the oldest of four brothers; they are all professionals. One of his brothers is a lawyer, another is a mechanical engineer, and the youngest is an accountant. Are you a good fisherman? “I would like to be better. It’s a great hobby because you do it with your children, your friends, and family. “He also enjoys cycling and uses a mountain bike when he hits the Mission, Texas trails.